yesterday, i shared a list of super simple halloween decorating ideas. 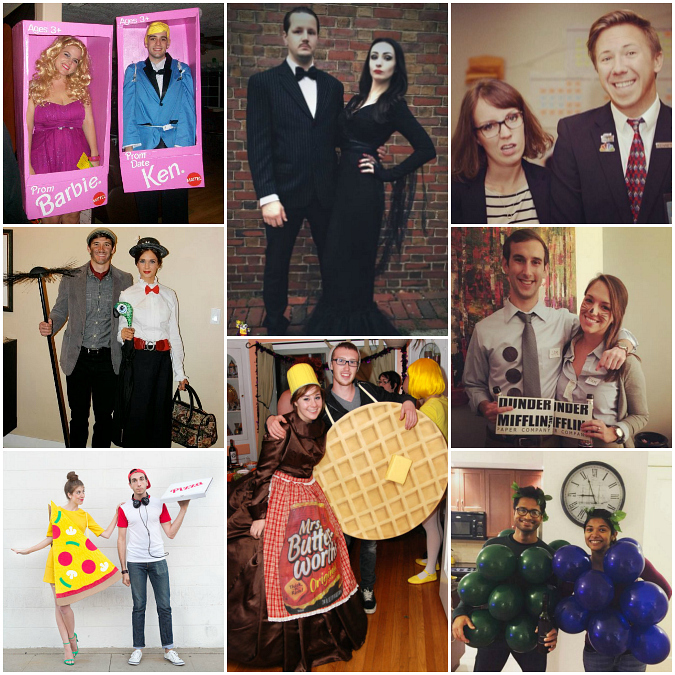 since we're getting in the halloween spirit, today i wanted to share a list of 60+ genius halloween costumes for couples. ryan and i rarely have the opportunity or the time to dress up for halloween anymore, but after seeing these cool couples costumes i'm starting to wish that we did! Very cute! I like the Mrs. Butterworth and waffle couple a lot. How do you hold a cat still long enough to dress it in one of those costumes?!? Clever costumes. I know that I would never, never be able to dress my little darling.